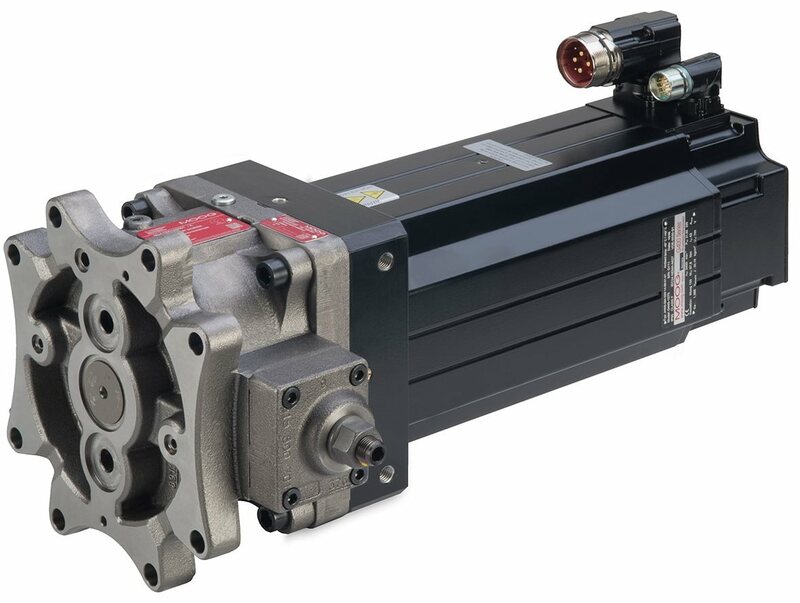 The Moog EPU is at the heart of electrohydrostatic actuation and combines the advantages of both hydraulic and electro-mechanical actuation technologies in a self-contained product, delivering a high degree of energy efficiency and environmental cleanliness. Best of all the EPU eliminates the fixed cost of the hydraulic system infrastructure. Yes, I would like to receive additional information about Moog products. Take a look at the additional resources below to learn more about the Moog Electrohydrostatic Pump Unit. This video will share the technical working principles and benefits of the Moog Electrohydrostatic Actuation System. Take a look at our product catalog to find performance specifications, technical data, electrical interfaces and more. A leading manufacturer of ring rolling mills developed with Moog a new Electrohydrostatic Actuation System for its machines. Compared with conventional machines, the modified axes in this machine used up to 40 percent less energy. 2019 MOOG INC. ALL RIGHTS RESERVED.